The relationship is the core aspect of a relational database. 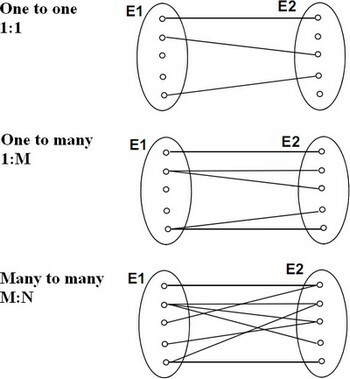 For instance, a many-to-one relationship is a link between two entities when one entity has a foreign key that references the primary key of another entity. All relationships are implicitly bidirectional, meaning that they can interpreted in both directions. When you have foreign key that NOT references the primary key of another table, the database has not enforced referential integrity. To describe precisely the type of relationship in a data model, you use the cardinality. A function can also describe a relationship between two variables. NHST try to find this relation. modelled with the help of preposition. Verbs provide a link to the condition/state of being of the subject. Adverbial conjunctions indicate the following logical relationship between two sentences, or phrases. Pretend the recursive relation is between two tables, the real one and a virtual copy. 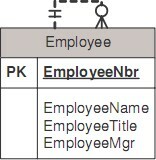 In this case, a manager table and an employee table. Order is the most important concept in the modeling as it design the relation between entities.